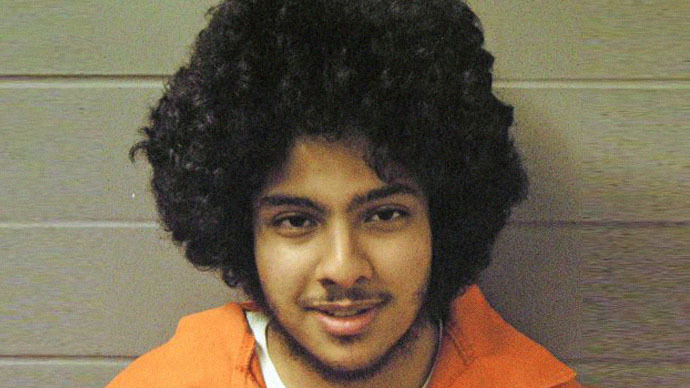 Defense attorneys for the Chicago teen arrested for terrorism in a 2012 sting will be not have access to government surveillance documents, the Supreme Court ruled Monday, upholding a lower court’s decision without comment. Lawyers for Adel Daoud requested access to the surveillance application that prosecutors submitted to the Foreign Intelligence Surveillance Act (FISA) court to show that the teenager was targeted by an FBI-orchestrated sting because of computer searches related to a term paper. Last January, US District Judge Sharon Johnson Coleman ruled that for the first time such access ought to be granted. After the 7th Circuit Court overturned the ruling, Daoud’s lawyers appealed to the Supreme Court. "Without access to FISA materials, it is virtually impossible for defendants to challenge the lawfulness of the government's surveillance of them," Daoud’s appeal said. Daoud, a US citizen of Egyptian origin, was arrested in September 2012 during a FBI sting operation. According to the federal prosecutors, he was contacted by undercover FBI agents posing as terrorists in May that year, and discussed a plot to kill a large number of Americans. The government claims Daoud picked out the target – a popular Chicago bar – while the undercover agents suggested and provided the means of carrying out the attack. The 18-year-old was arrested as he was allegedly pressing the button on a fake detonator, intending to blow up the bar. “The explosives that Daoud allegedly attempted to detonate posed no threat to the public…They were inert and had been supplied by undercover law enforcement personnel,” the US Attorney’s Office in Northern District of Illinois said in a statement following the arrest. Daoud’s defense has argued entrapment, alleging that the FBI targeted their client due to internet searches involving Osama bin Laden related to a high-school term paper. Defense lawyers in a number of other terrorism cases have pointed out that undercover FBI agents not only provided the means, but also incited the suspects to acts of terrorism.